Teachers across the country are using The Word Collector to inspire a passion for language and literature. 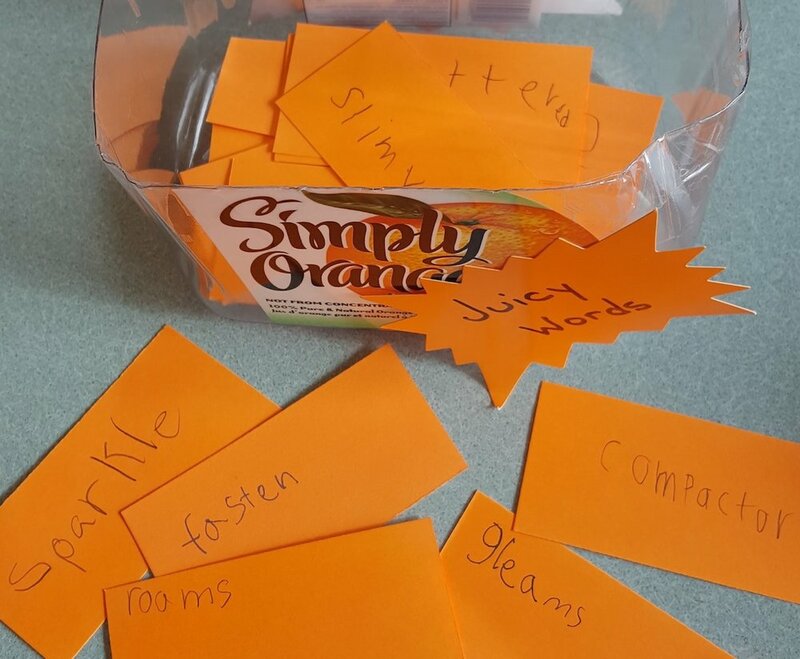 Here are a few ideas to ignite a new generation of Word Collectors. Share your Word Collector idea with us by emailing TWC@ReynoldsTLC.org. My kindergarten class loved this book, so much that we collected our own words and had a vocabulary parade. We are a small district in North Muskegon, MI, that our whole district is connected so we paraded to the middle school and high school to have the older student read and talk about the words. When students are reading they like to be word detectives. They are given sparkly pipe cleaners to use to create a 'magnifying glass' (or any shape they like really) to put around words in books or other areas so that they or a partner may add them to their word collection. To commemorate the end of grade six and elementary school, students from Calgary Academy chose a word to describe themselves and they painted them on a mural of a silhouette of the city of Calgary. Combining technology with poetry students from B.J. Smith Elementary School cut out words and drove a Sphero robotic toy to collect 10 words. Once the words were collected, groups of students added “a” and “the” to create a poem. Sixth graders from Avon Public School presented a Choral Reading of The Word Collector. They took home first place in the Kiwanis Festival of the Performing Arts - Stratford! Check out their performance. The students at Garin Elementary School made a window display of their words after reading The Word Collector. 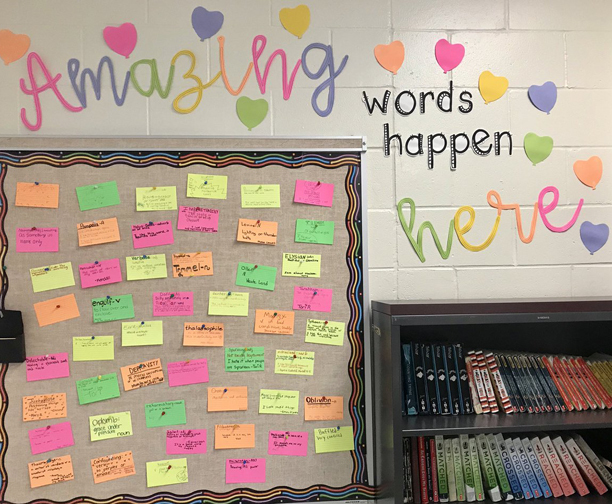 Over two months students added words to the display. Joni Smith then took photos each student, posed like Jerome, to enhance the window display. Gina Hess’s middle schoolers have been "word collectors" for years! They make a board filled with all their favorite words every year. 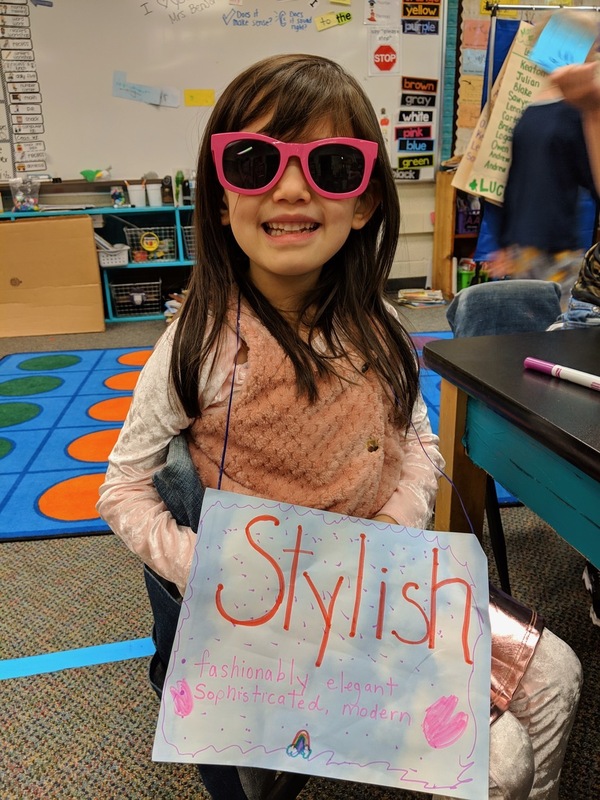 Becca Sacash’s kinder class at Urbana Elementary started their own word collection. They we’re all so excited to be word collectors, just like Jerome! During a Big Book Bonanza, students at Elms Elementary School read with a reading buddy from a different grade. 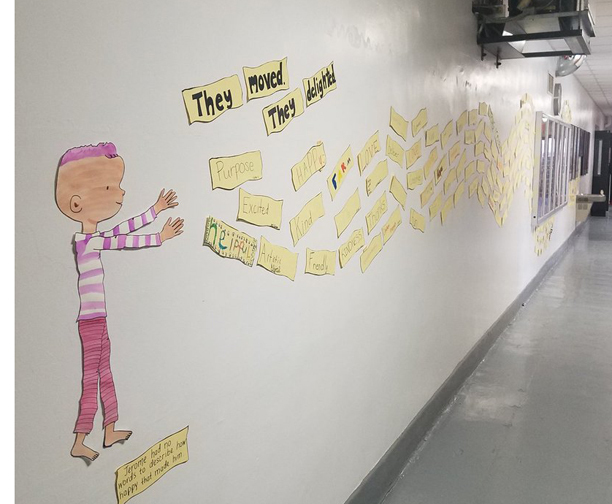 The collect words to add to their Jerome wall - different grades have different colors and teachers even add a few special words. Wall of Words and So Much More! After reading The Word Collector, North Tama County Community School students worked on a display of their own meaningful words. At Harmony Hill School, Stacy Smith is celebrating The Word Collector, by creating a themed bulletin board. In October students decorated for fall with a spooky focus on Halloween. November will focus on Thanksgiving.